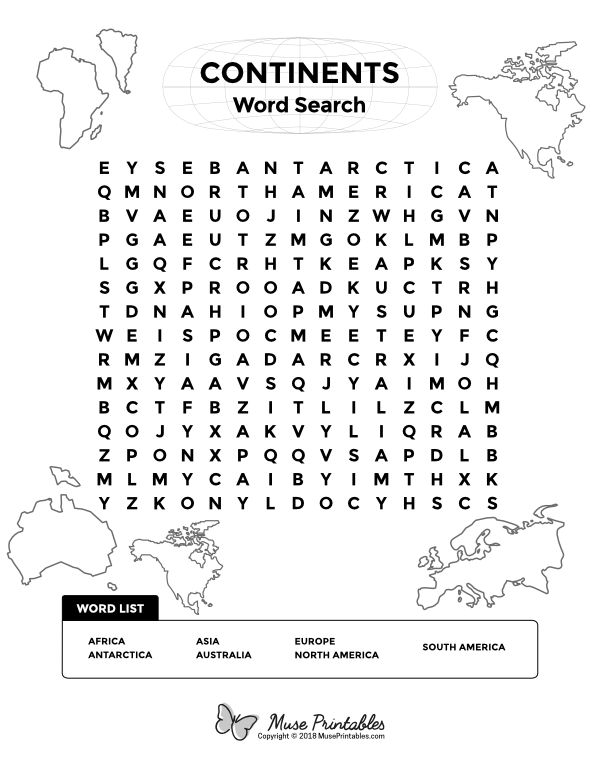 This puzzle features words related to continents. Find and circle the words in the list. Words may be found diagonally, horizontally, and vertically. Download the solution to check your answers.